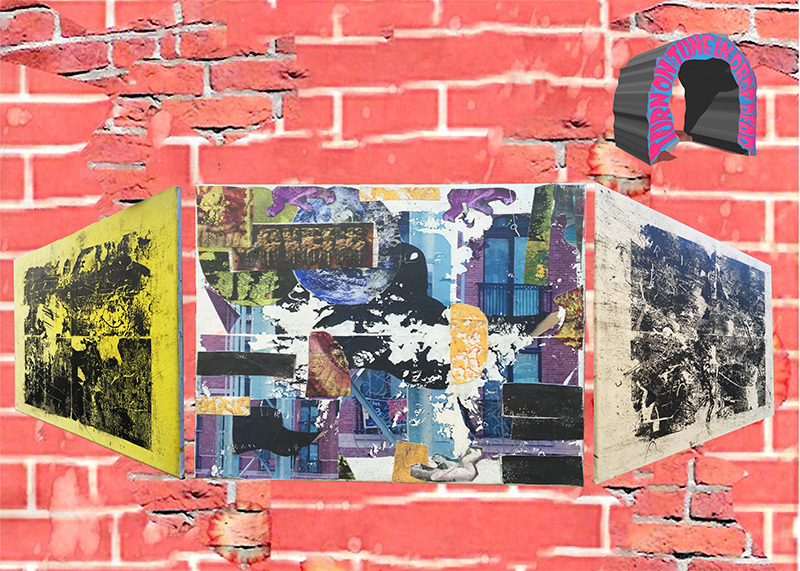 My work engages the issues related to the vehemence of our current cultural configuration, self- analysis, and the history of visual communication. 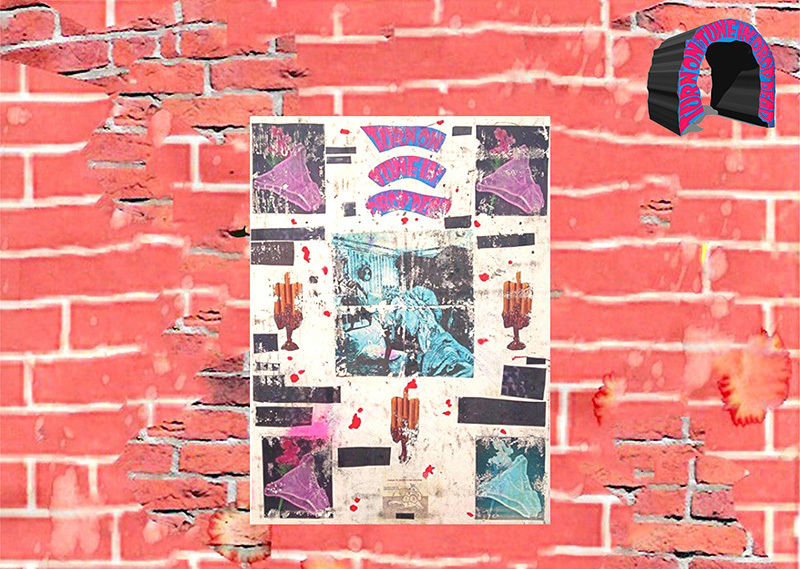 Delineating on aesthetic methods and media— physical and imagery-saturated digital paintings, drawings, collages, and clothing, I perpetuate an abating force within a variety of constituent ideas. Of the multifarious objects that embody my work, the paintings are the most formally recognized. These mono prints on canvas assimilate the essential ambiance of social regularity, hoping to provide the viewer with a transformative metaphysical experience. The works act as a scroll of information collected and curated into a trance poetical configuration. 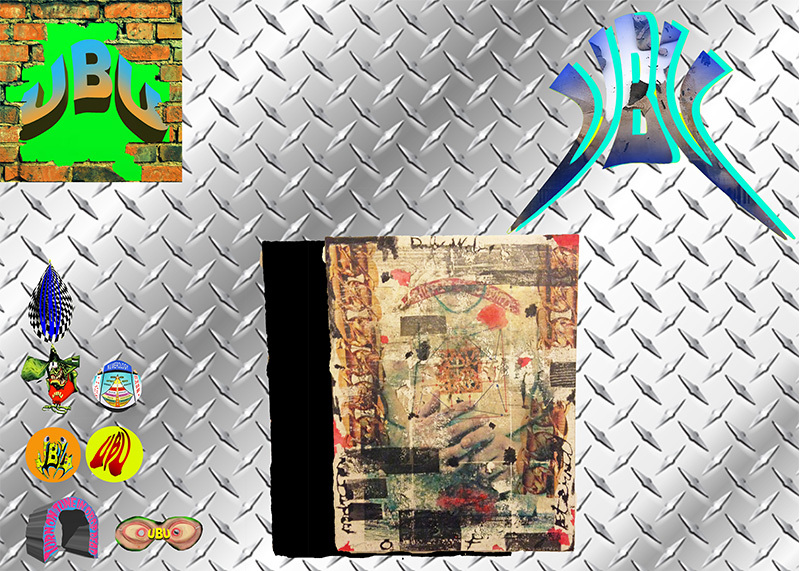 Work Imagery is pulled from the digital realm into the physical and at times, through scanned documentation the vice versa, creating a grounding link between both the organic and inorganic influence on the populations mental navigation systems. 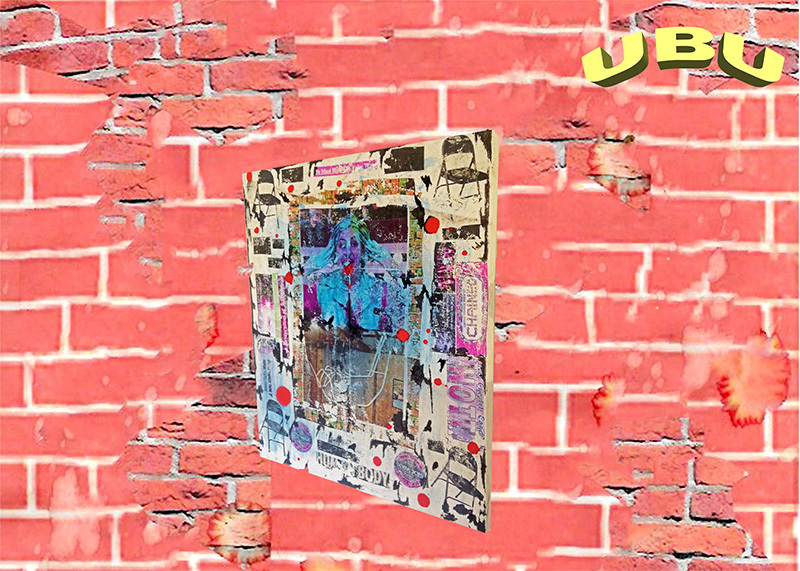 UBU believes that the ascribed intellectual and social visual hierarchy of painting and it potential to influence the public in a wide range of informational entrance points. 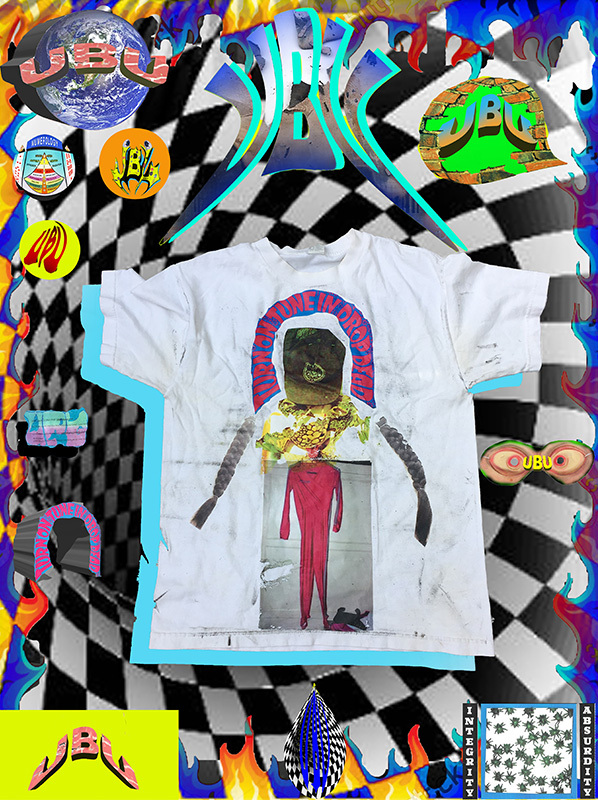 UBU recognizes that while product exposure is limited in physical form, the republication of those physical units into a verity of online and social media outlets has a large net of influence. UBU is a reference to the audacious central subject of the Alfred Jarry play, “UBU ROI”: a work in which not only shocked audiences in theaters, but is also said to have given body to the spirit of the radically avantgarde Dadaist movement. But aside from its art historical reference, the name plays a trick on one’s mind if familiar with the trailblazing streetwear company FUBU from the 90’s. FUBU, as a corporate identity, in turn created an identity for its consumer base. The clothing brand became a signifier for rawness and redefined rebellion. I’ve become infatuated with this connection from a phonetic stand point. I observe the climate of the art culture that we currently operate in to be a visceral dichotomy of elite and populous culture. 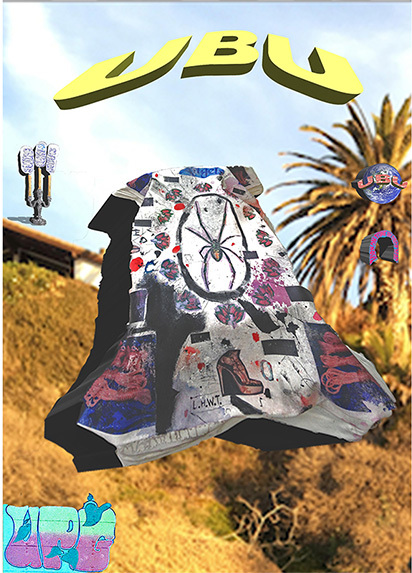 I see a dynamic between fashion and fine art that permeates mass consciousness. As an artist, UBU allows my work to expand beyond an autobiographical context into an identity meant to be shared with the viewer. 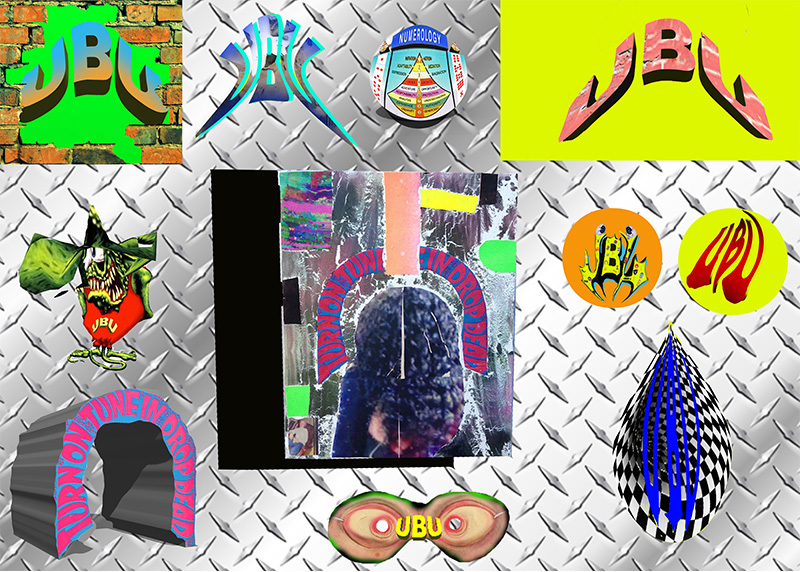 UBU serves as a conceptual nom de plume used to facilitate aspects of my creative output which deal with the concept of branding and the identity complex of the artist cliché. 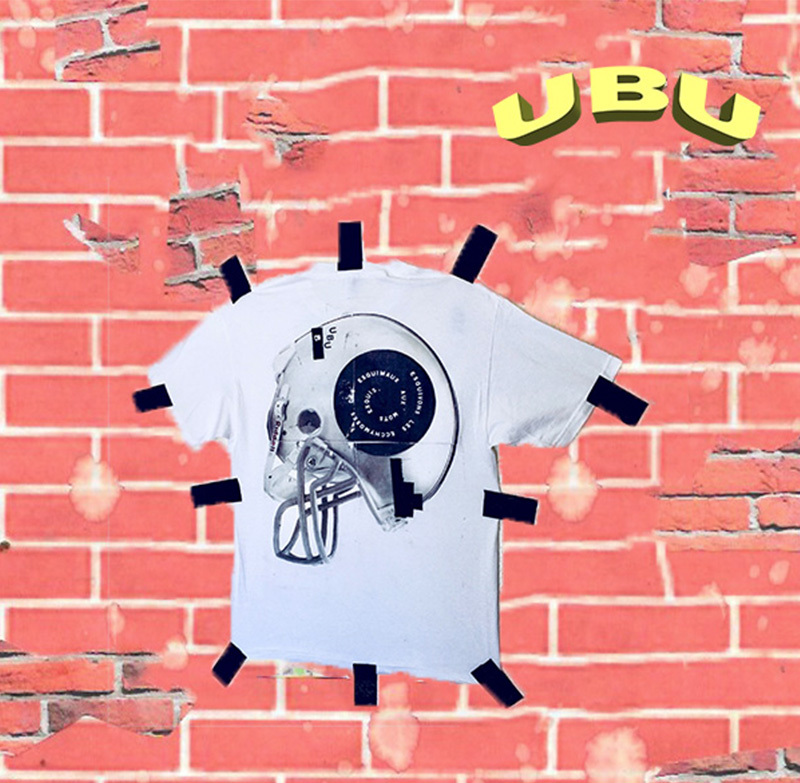 UBU began as a clothing company facilitating an outlet for my personal brand of visual language into a medium which was accessible for an unexclusive consumer base. Soon the concept began to merge with a visual practice I had been undertaking for many years trying to establish myself as a gallery artist. 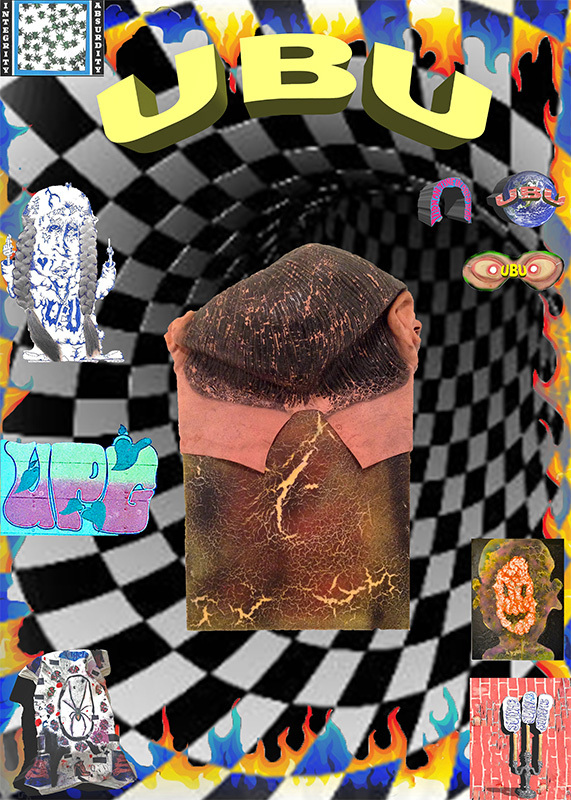 UBU exists in physical capacity along with a virtual one. 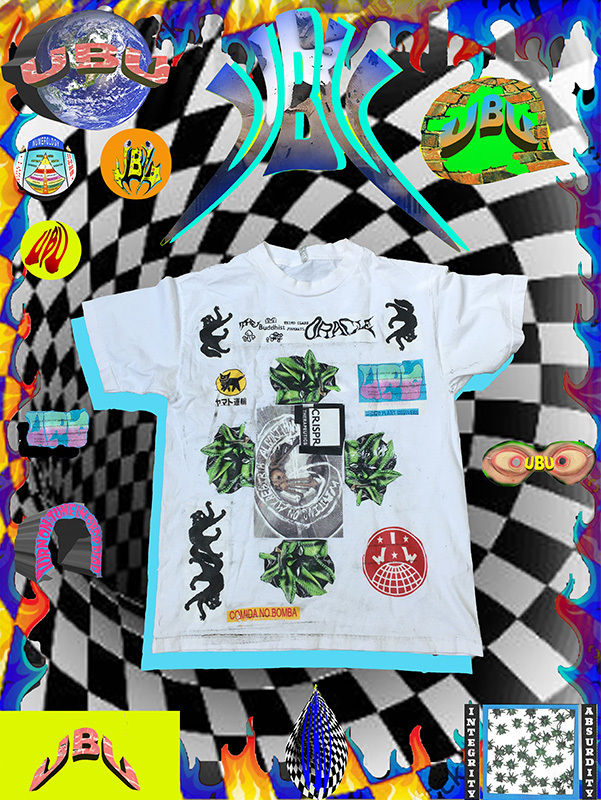 In the realms of UBU WORLD, the variety of product produced is given a unique method of display apart from the typical white wall gallery environment. 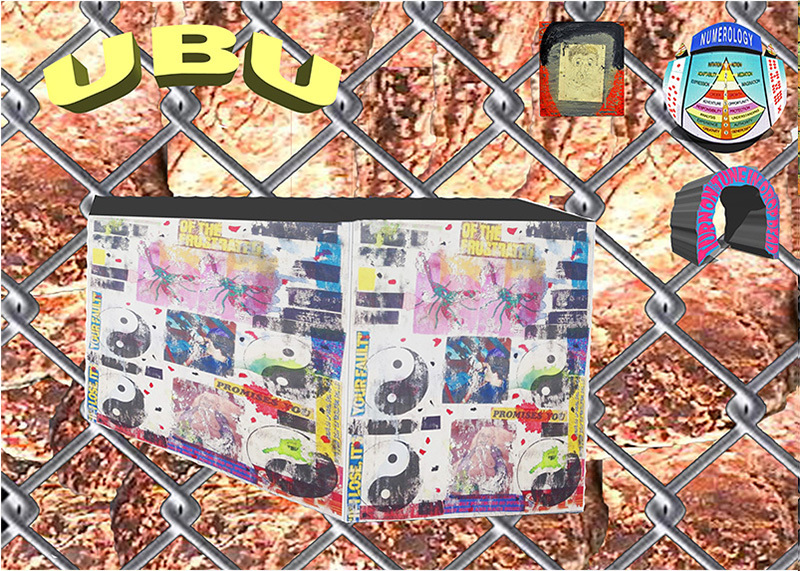 UBU WORLD redefines the context in which art objects are allowed to operate. 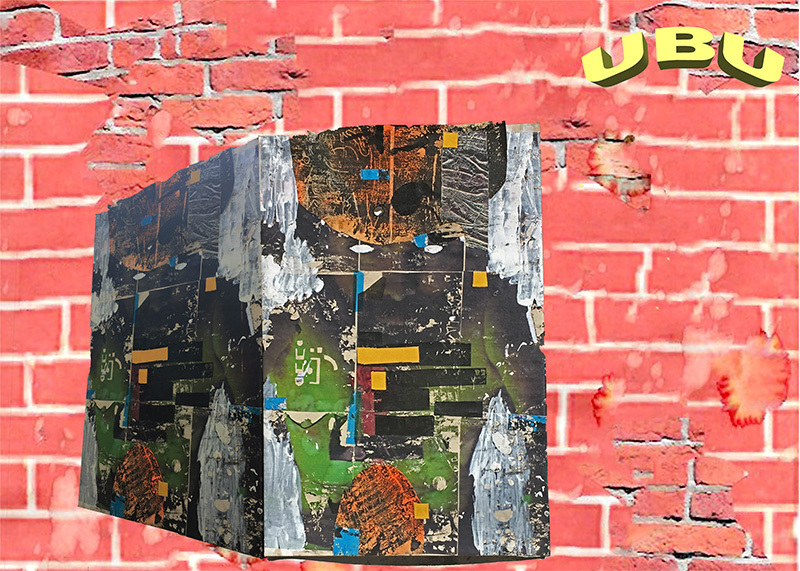 As online imagery continues to become the most dominant form of visual communication, UBU seeks to produce object integrity in a virtual realm that exceeds the limitations of traditional art methods of display. 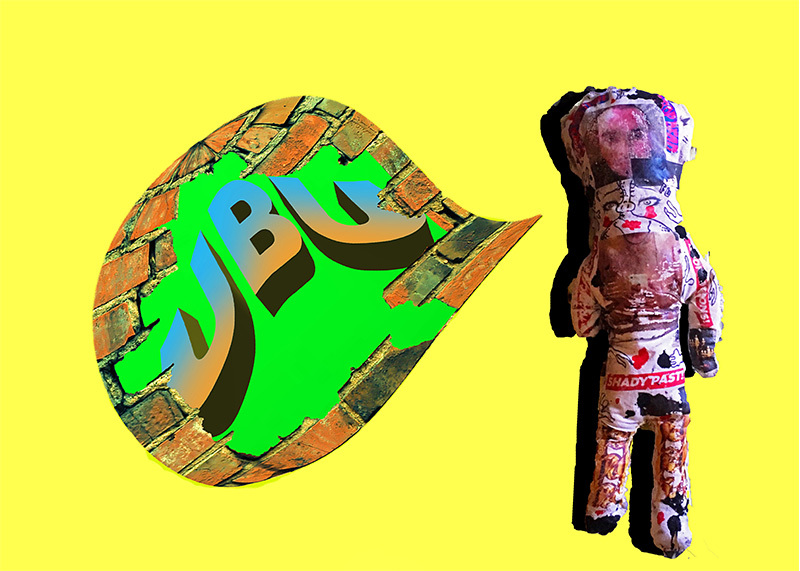 By doing so UBU seeks to ignite a dialogue with a viewership that may expand beyond defined parameters in art. 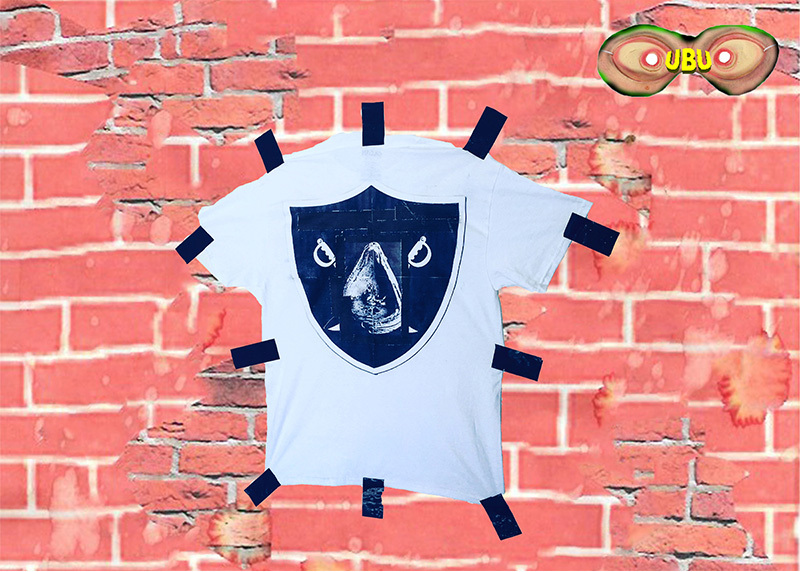 UBU as a brand identity operates as a shape shifter, seeking to unite artist with a multiplicity of ideas both philosophical and political. 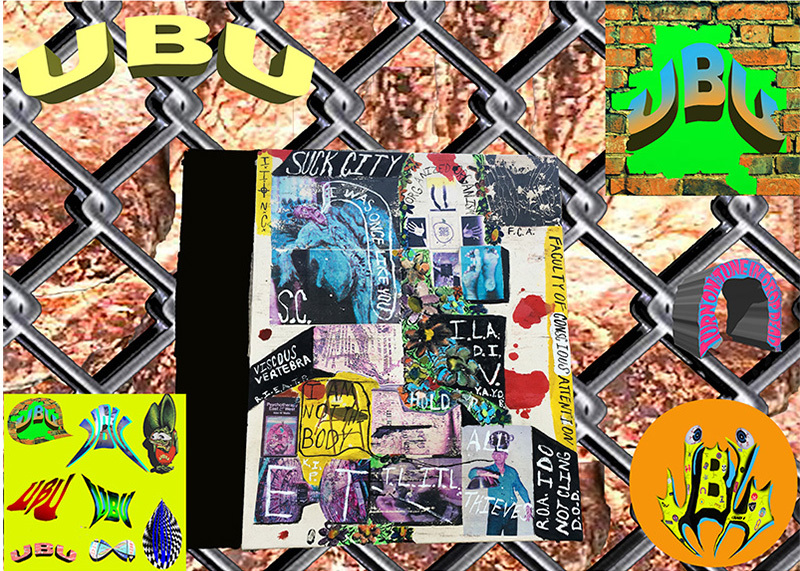 UBU has the capacity to operate as a collaborative initiative as well, with plans to expand into the production of an assortment of publications and formations. In doing so, it is the intention of the brand to create objects with multifarious functionality. 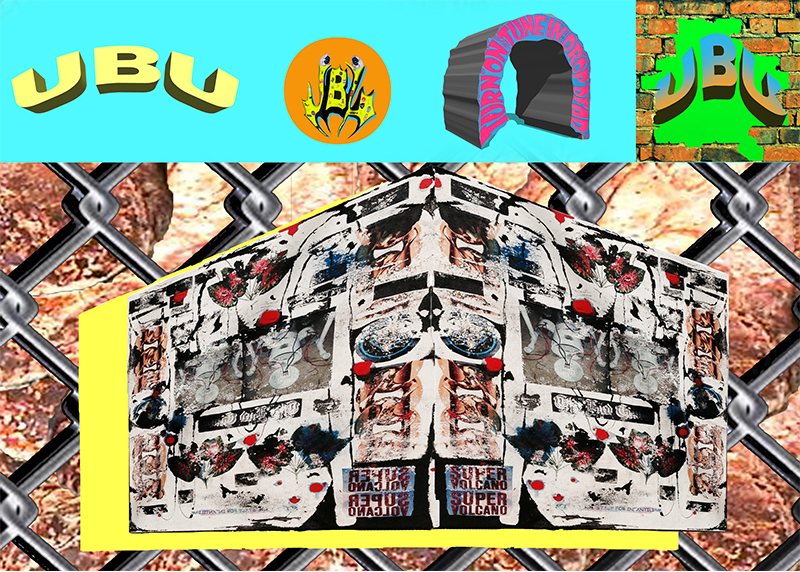 UBU sets out to be a brand defined by the production of esoteric ideas for the general population to consume and cooperate with. There is a preeminence in the visual hierarchy and there is an impression that art is the highest revered and cultural cachet accumulates with (speculative) appreciation. 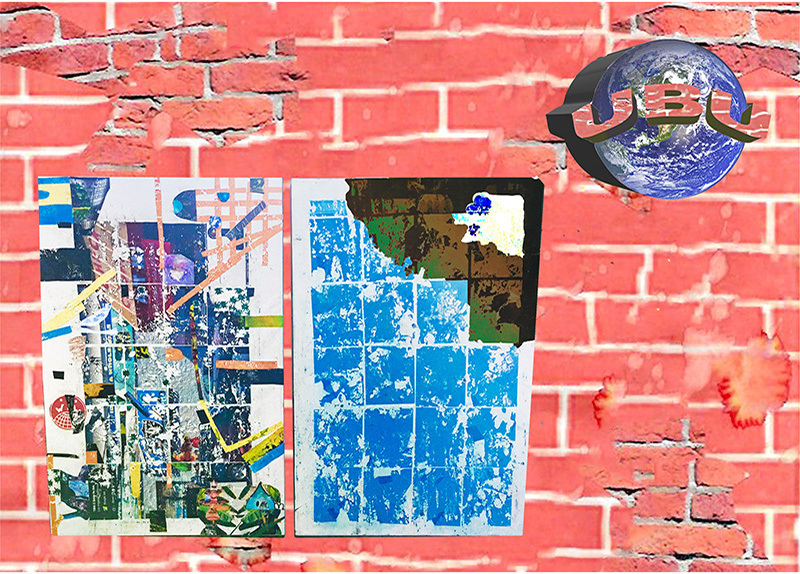 My work in conjunction and cooperation with UBU INC. Aspires to conceive an outreach capacity that exists beyond that structure. Rawness and paradox are materializing as motif in our contemporary climate. 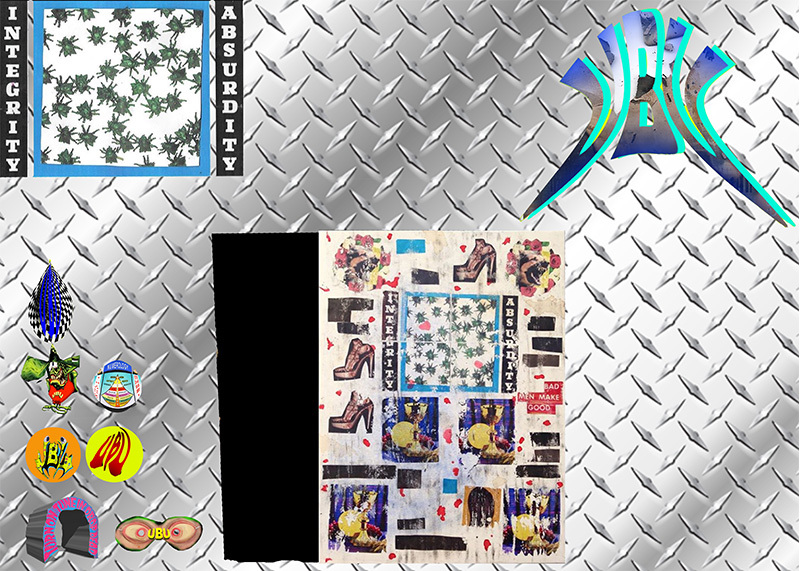 UBU INC. ‘s mission is not so much in line with the art world as it is embedded in the aesthetical aura and its implications in a larger consciousness and context.